Marvel's melancholy muck-monster as you've never seen him before - courtesy of beloved author R.L. Stine (Goosebumps, Fear Street)! After so many years of somber silence, Man-Thing has found his voice - and taken Hollywood by storm! But when an ancient evil threatens his old swamp stomping ground, Man-Thing will have to choose between his new life and celebrity, and the world he used to call home. An old ally pays a visit, but everything else is out to get Man-Thing - including crocodiles, bats and mosquitos, oh my! Can the balance of the swamp be restored, or will the cause of this calamity be beyond Man-Thing's control? Plus: Bone-chilling bonus horror tales from the master himself, R.L. Stine! 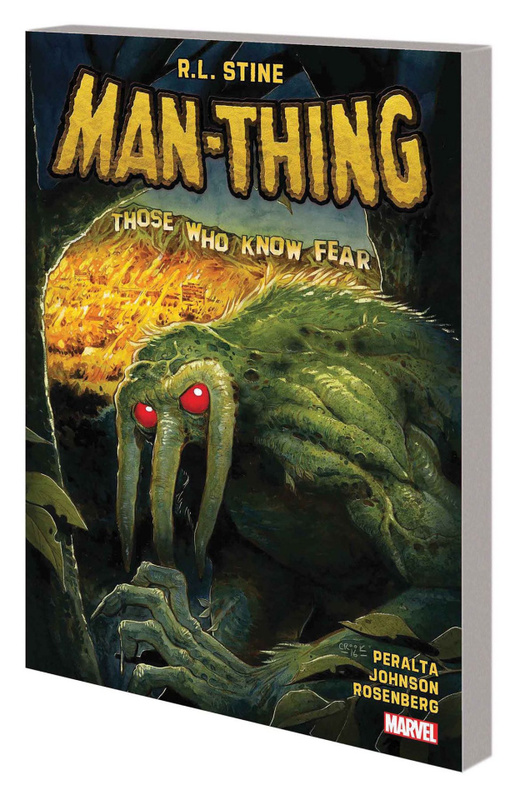 Reading this will give you goosebumps...but beware - for whoever knows fear burns at the Man-Thing's touch!